Our concrete delivery makes it easy to stay on schedule and make your paving or building project turn out as you planned it in Barrie. When you need a supply for concrete for an upcoming project, the last thing you want to do is be delayed because you have to make multiple trips to get your concrete products. At Flesherton Concrete Products, we understand that you may have a timeline for your project’s completion, and that you can’t always wait around or coordinate with other contractors for the products you need. That’s why we offer convenient concrete delivery straight to your site in the Barrie, Ontario area. Not only do we have a wide service area to ensure that you can get the concrete you need, but we also have the equipment and concrete products that will make your concrete delivery a success. Whether you have a small outdoor paving project or you need to do a major street repair, our concrete delivery makes it easy to stay on schedule and make your paving or building project turn out as you planned it. One other thing that makes us stand out at Flesherton Concrete Products is that we don’t nickel-and-dime our customers on our concrete products. We’ll provide personal service with your product needs in mind, all at competitive prices to meet your budgetary requirements. Our concrete delivery services are part of our commitment to service and ensuring that your paving or building project is a success. 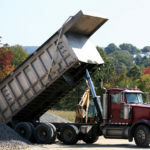 If you have questions about our concrete delivery options, or you need to schedule a concrete delivery to your job site, contact us at Flesherton Concrete Products today to get started. We look forward to working with you! At Flesherton Concrete Products, we offer concrete delivery to customers in Collingwood, Wasaga Beach, Flesherton, Orangeville, Owen Sound, Barrie, Stayner, Mulmur, Shelburne, and Mount Forest, Ontario.